This year was a very productive span for the rock realm. New offerings from well-known acts, such as Joe Satriani, Billy Gibbons and Stone Temple Pilots were joined by some enjoyable offerings from some lesser-known acts, such as The Magpie Salute, The Marcus King Band and Black Coffee to make for quite the selection of new offerings. Simply put, the mainstream and the independent offerings turned out this year gave audiences plenty to appreciate. Many of those offerings made their way into Phil’s Picks list of the year’s top new rock albums, including and not limited to the offerings from the acts already noted here. 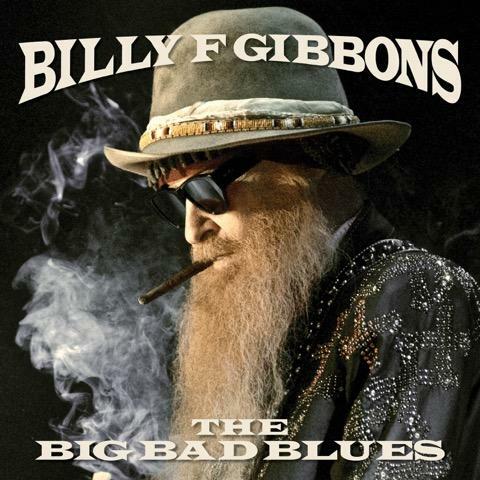 Topping off this critic’s list this year is Billy Gibbons’ new album The Big Bad Blues. The ZZ Top star’s latest solo offering features some impressive covers of classic blues and blues rock tunes, while also offering some equally entertaining originals to round out the record’s body. The whole is a record that is a solid listen from start to finish. Taking second spot in this year’s list of the year’s top new rock albums is legendary guitarist Joe Satriani’s latest offering What Happens Next. The full-on instrumental offering is everything that fans have come to expect from Satch, with touches of his past and present. Third spot in this year’s list goes to Slash, Alter bridge front man Myles Kennedy and The Conspirators. The group’s new offering Living The Dream is a well-produced and engineered album with plenty of radio ready singles that go a long way toward displaying the group’s collective talents. The lyrical themes are just as easily accessible as the record’s arrangements. While not a perfect record, it is still enjoyable in its own right. The remainder of this year’s list is noted below. Also featured in this year’s list are new efforts from Black Coffee, Pop Evil and P.O.D. As always, the list’s top 10 titles are the best while the five that follow are all honorable mention titles. Without any further ado, here for your consideration is Phil’s Picks 2018 Top 10 New Rock Albums. Guitar great Joe Satriani has done seemingly everything that can be done by an artist of his caliber and experience. He has built quite the successful solo career. He has served as a member of the famed rock band Deep Purple and as the rock super group Chicken Foot as well as so much more. Considering how much Satriani has done and how much success he has had throughout the course of his decades-long career, one is left asking after each of his releases, “what happens next?” Thus we get the title of his latest album, What Happens Next. Released Jan. 12 via Epic Records, this 16th full-length studio recording from the virtuoso guitarist is everything that audiences have come to expect from Satriani. That is due to the continued growth exhibited throughout the album’s 51-minute run time. That growth is exhibited both in the songs that throw back to Satriani’s established albums and to those that show his continued abilities. That growth is just one part of what makes this album stand out Its sequencing plays its own important part in the album’s overall presentation, too. This element will be discussed later. The record’s production rounds out its most important elements. When it is set alongside the record’s sequencing and clear growth exhibited within the songs’ arrangements, the whole of the elements noted here makes this record a work that will leave listeners asking once again, “What happens next?” in the very best way. 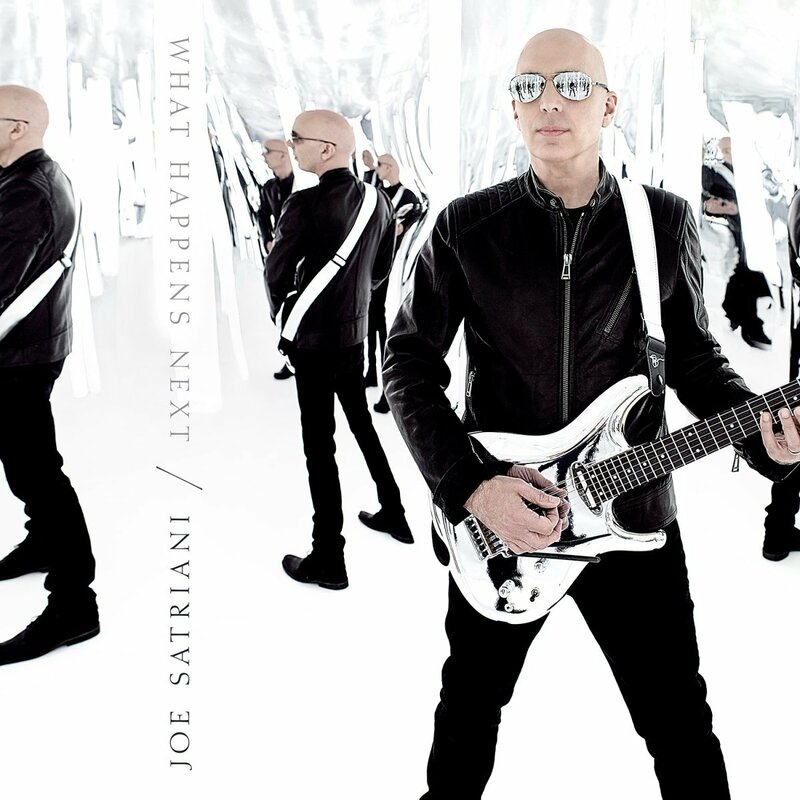 Joe Satriani’s latest full-length studio recording What Happens Next is easily one of this year’s top new rock records. The 12-song record shows yet again over the course of its 51-minute run time why Satriani remains today one of rock’s elite musicians. This is due to the continued growth exhibited throughout the course of the album’s run. Right from the outset, fans familiar with Satriani’s body of work are transported to his 2004 album Is There Love In Space? in ‘Energy.’ the aptly titled song is a straight-forward, up-tempo piece that harkens back to ‘Hands In The Air,’ the third of the album’s offerings. What’s really interesting to note here is that while the songs bear a stylistic similarity in their sounds and energies, it’s obvious that Satriani didn’t just rehash that earlier song. This completely contradicts the statements of so many who have claimed that this album is more of the same from Satriani. One could argue that the album’s second song, ‘Catbot’ also throws back to some of his older works, too. Even with that comparison possible, one has to admit that the song’s arrangement, with its fuzz effect on the guitar bears more similarity to recent works from Royal Blood than anything that Satriani has composed before. The album’s third song, ‘Thunder High on the Mountain’ presents a run that would make Zakk Wylde and Tom Morello proud. It’s the kind of run that Satriani has not composed before, but instantly conjures thoughts of his aforementioned counterparts. Again, it shows that continued growth that has been mentioned so many times already. That display of growth doesn’t end here, either. Rather it continues on throughout the rest of the album. ‘Cherry Blossoms,’ with its contrasting “A” and “B” sections also takes listeners back in time, conjuring thoughts of perhaps works from Satriani’s 1998 album Crystal Planet while also changing things up considerably. The changes come in the form of the string arrangements in the “A” sections and the more reserved guitar line in the “B” section. The song gets even more lively in its bridge, with Satriani just letting go. ‘Headrush,’ with its uptemp guitar lick instantly conjures thoughts of ‘Satch Boogie,’ from Satriani’s 1987 album Surfing With The Alien. 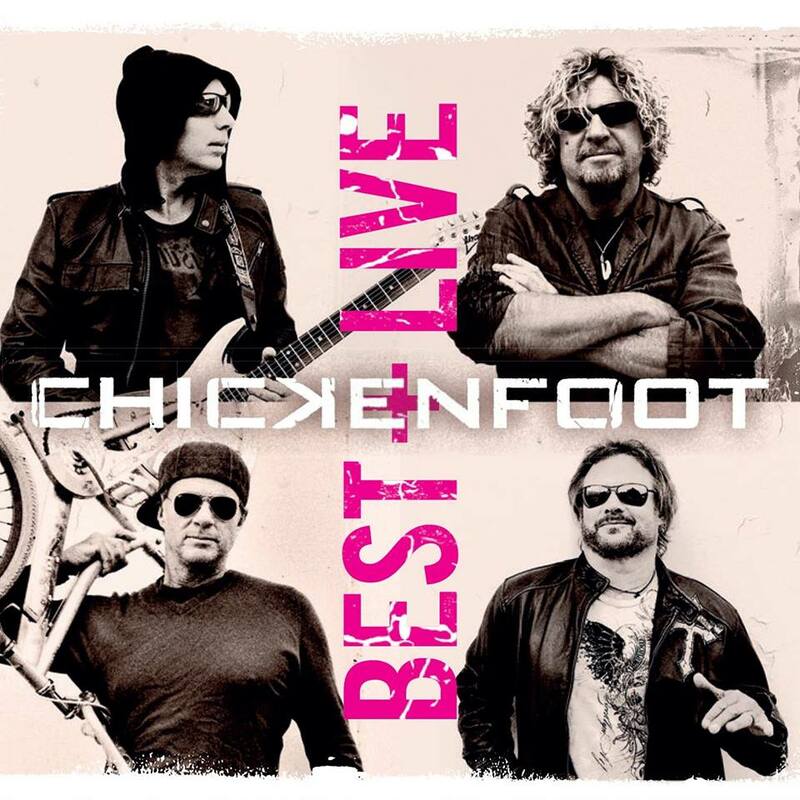 Deep Purple bassist Glenn Hughes’ walking bass line in this song adds a nice bluesy touch that helps in its own way the growth, as does Red Hot Chili Peppers drummer Chad Smith with his polyrhythmic patterns. It’s yet another way in which this record reaches back in time while also looking clearly forward. As if that wasn’t example enough, ‘Super Funky Badass’ reaches back to Satriani’s ’06 record Super Colossal thanks to its arrangement. Yet again though, as much as it bears similarities to songs from that record, it also establishes its own identity, thanks again to its arrangement. There is some material here that is slightly more intense than the music on Super Colossal. 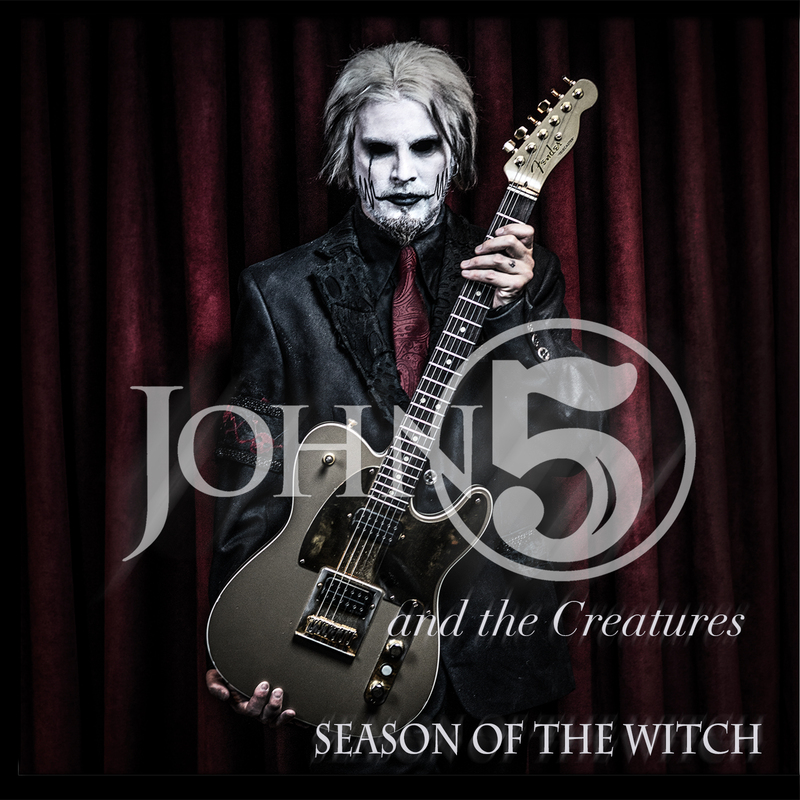 That contrast and comparison once more proves that this record is in fact not just more of the same from Satriani. It shows that while yes, there are some similarities between songs here and his established works, there is just as much new to appreciate from start to finish. Much the same could be argued of every one of the other songs not noted here. That being the case, when those songs are joined with the works directly discussed here, the arrangements featured here form a solid foundation for the record’s presentation. They are not the album’s only important collective element either. Its sequencing is important to discuss, too. The sequencing at the heart of What Happens Next is important to its whole because of the general effect that it creates through the song’s energies. The album starts off rather upbeat, as has already been noted. Even with the momentary reservation in energy in ‘Thunder High on The Mountain,’ that decline is only momentary. The same can be said of the energy in the album’s fourth track, ‘Cherry Blossoms.’ The song’s energy feels slightly reserved at times, but even in that reservation, it doesn’t necessarily slow down per se. It’s something that must be heard to be fully understood and appreciated. It’s just a nice solid balanced up and down of energies within the very context of the one song. That balance is just as evident in ‘Righteous.’ As the album enters its midpoint in ‘Smooth Soul,’ the album does markedly slow down, but it’s in a good way. That pullback gives listeners just enough time to breath before Satriani launches into the much more up-tempo ‘Headrush,’ which again is another throwback composition that shows a certain growth from the professor. The album’s energies vary even more as the album makes its way through its second half from contemplative to playful to gentle and reserved to close things out. Simply put, from one song to the next, the album’s energies remain stable without fault. That being the case, it shows plenty of thought was put into the album’s sequencing, proving once and for all why the album’s sequencing is so important to the album’s whole. It is not the last of the album’s important elements, either. The album’s production rounds out its most important elements. The production at the center of What Happens Next is important to discuss because of the general effect that it has on the album’s overall presentation. Just as the album’s energy is balanced from start to finish in this record, ensuring listeners’ maintained engagement, so are each of the trio’s parts in each song. Satriani, Hughes and Smith each shine throughout the record thanks to producer Mike Fraser’s work. This should come as no surprise considering that Fraser has worked with Satriani for so many years. The pair’s friendship and understanding of one another comes across clearly throughout this record as not only Satch gets plenty of time, but he also gladly gives up the spotlight so many times in favor of teamwork from his fellow musicians. Because each member of the group gets his own time to shine (and plenty of it at that), the end result is a record that sounds great and new from beginning to end even with its comparisons to its predecessors. When this is considered alongside the expertly balanced energies exhibited throughout the record’s sequencing and the impressive and enjoyable arrangements at the heart of each song, the whole of those elements shows without doubt why this record will indeed leave listeners asking “What happens next?” in the best way possible. 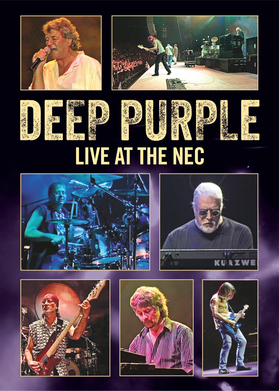 This coming Friday, August 26th, Deep Purple will release its latest live recording Live at the NEC. 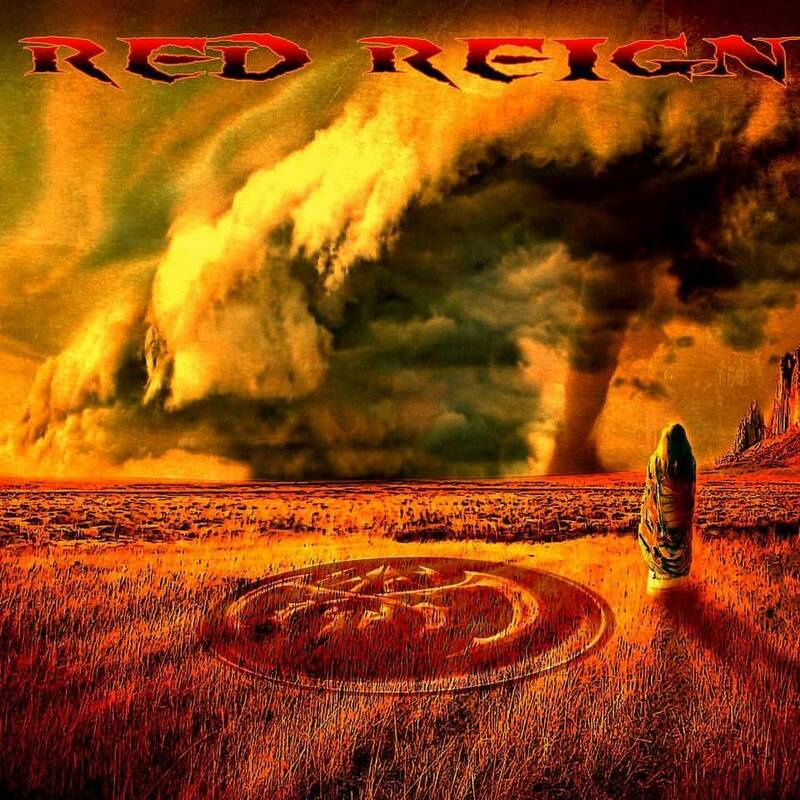 Originally recorded September 14th, 2002 at The NEC in Birmingham, England, the DVD recording comes about a year after the release of the band’s 2015 dual live recordings From The Setting Sun…in Wacken and To The Rising Sun…in Tokyo. Being that so little time has passed between those records and this recording’s upcoming release one might wonder what makes it stand out from its predecessors. The first element that makes it stand out is its set list. This will be discussed shortly. The band’s stage presence over the course of the show’s nearly two-hour run time is just as important to note as the set list. The bonus interviews that are included with the recording round out the recording’s most important elements. Each element is important in making this live recording stand out from Deep Purple’s previous live recordings. All things considered they make this latest offering another welcome addition to any Deep Purple fan’s music library. Deep Purple’s new live recording Live at the NEC is another welcome offering in any Deep Purple fan’s music library. This is the case even with the recording coming only a little more than a year after the release of the band’s most recent dual live recording set—From The Setting Sun…in Wacken and To The Rising Sun…in Tokyo. That is due in part to the recording’s set list. The sixteen (technically fourteen not counting the show’s keyboard solo from then new keyboardist Don Airey and guitarist Steve Morse) song set pulls largely from the band’s early years. It even goes all the way back to the band’s 1968 debut album Shades of Deep Purple with the inclusion of its cover of ‘Hush’ and all the way to 1996’s Perpendicular with the inclusion of ‘Vavoom: Ted The Mechanic’ in the show’s set list. The band even went so far as to include some slightly lesser-known pieces in the recording in the form of ‘When A Blind Man Cries’ and ‘Black Night.’ The prior was the b-side to the song ‘Never Before,’ which was itself originally included in 1984’s Perfect Strangers. The latter was included as a b-side for ‘Speed King, from the band’s 1970 album Deep Purple in Rock. Those songs couple with the band’s much bigger hits—‘Highway Star,’ ‘Space Truckin’,’ ‘Smoke on the Water,’ ‘Woman From Tokyo’—and the rest of the set’s featured songs to make the set in whole one that will keep audiences engaged and entertained throughout the course of the concert’s near two-hour run time. The set list that is featured in this recording is undeniably important to the recording’s presentation. That is because while it does feature some of the band’s biggest hits, it also features some lesser known songs. It comes across as a very focused set list. Even with the show being the last at the time for founding member and keyboardist Jon Lord, Lord did not play a creative role in every one of the featured songs. This leads to plenty of discussion on the reasoning behind the set list. Even with that in mind the show’s set list is just one part of what makes the recording in whole welcome in any Deep Purple fan’s music library. The band’s stage presence throughout the course of the concert is just as important to note as the songs that the band performs. The songs that make up the concert’s set are largely upbeat. They have plenty of energy. Of course there are some slower, more reserved moments. Through it all the band’s members keep the audience completely entertained. The band shows that an act doesn’t necessarily have to rely on pyrotechnics and other gimmicks in order to entertain audiences. Rather, the band shows in whole that sometimes all a band needs to keep audiences entertained in a live setting is that presence. And presence is exactly what the band has here. Front man Ian Gillan commands the stage with ease as guitarist Steve Morse and drummer Ian Paice drive each song. Speaking of Morse, his interaction with his band mates during his extended guitar solo shows the chemistry between the musicians. Keyboardists Don Airey and Jon Lord are just as entertaining to watch as they perform both solo and in tandem. Airey shows his vast musical background with some playful pieces and even some equally impressive classical snippets in his keyboard solo. Lord is just as entertaining to watch as he works his way through the second half of the set list. All things considered each man does his own part to entertain audiences throughout the concert. Home viewers will agree with this when they see the concert for themselves. Their presence, when considered together, makes the concert’s overall experience just as enjoyable to watch as the show’s set list. When both element are set against one another, they come together to show even more clearly why this concert is another welcome addition to any Deep Purple fan’s music library. They are not the only elements to consider in the concert’s new home release. The bonus interviews that are included in the concert are just as important to note here as the show’s set list and the band’s performance of said set list. The set list that is featured in Live at the NEC and the band’s performance of said set list are both key elements in the recording’s overall presentation. As important as they prove to be to the recording’s presentation, they are hardly its only positives. The interviews that are included in the recording are just as important to its presentation as the set list and the band’s performance thereof. One of the interviews—with Gillan and Glover—is included as bonus companion material that stands separate from the concert. It is an extensive interview that touches on a number of topics including the story behind ‘Smoke on the Water.’ Roger Glover’s thoughts on rock versus metal, his thoughts on rock versus pop, and how famed veteran guitarist Joe Satriani came to work with Deep Purple for a period of time among much more. The main concert feature includes a post concert interview with Jon Lord in which Lord talks about his feelings of performing for the last time. Audiences will be moved both to smiles and tears as Lord talks about discovering after the show that he had broken down crying after leaving the stage and hadn’t even realized it at first. His ruminations will keep audiences just as engaged as his performance on stage. When it’s all said and done, audiences will agree that the two interview segments prove to be just as invaluable to this recording as the recording’s main feature and the band’s performance of the set list. All things considered there is a lot to say to the positive for Live at the NEC; so much so that the recording proves with full clarity why it is another welcome addition to any Deep Purple fan’s music library. Live at the NEC is hardly Deep Purple’s first live recording. It is though, a completely welcome new live recording to any Deep Purple fan’s music library. That is proven through the show’s focused, sixteen-song set list. The set list, which comes in at just under two hours features a collection of songs that come largely from the band’s early days. The band’s performance of that set is just as important to the recording’s presentation as the set list itself. The band keeps audiences completely engaged and entertained just with its own performance. It shows through its performance that a band doesn’t always need big showy elements and other gimmicks in order to entertain audiences. It just needs good music and good stage presence. The interviews that are included in the recording play just as much of a part in its presentation as the band’s performance and the concert’s set list. That is because of the insight and entertainment that they offer in their own right. As if all of this isn’t enough, one can’t (and shouldn’t) ignore the recording’s packaging. Audiences will notice that the recording is packaged in what is essentially a Blu-ray box. It is not the first time that Eagle Rock has packaged its live DVDs in such packaging. It is good to see this packaging used yet again, too. It shows that DVD packaging can be the exact same size as Blu-ray packaging, thus saving even more space on audiences’ DVD racks. It is an approach that sets Eagle Rock Entertainment ahead of every other home entertainment company, and in turn shows once more why Eagle Rock Entertainment remains to this day the lading name in live recordings. With any luck the rest of the home entertainment realm will use this packaging as a model and eventually catch up to Eagle Rock Entertainment in this avenue. Regardless of whether or not that ever happens, this element couples with all of the previously noted elements to, again, show why Live at the NEC is another welcome addition to any Deep Purple fan’s music library and why Eagle Rock Entertainment remains today the leading name in live recordings.